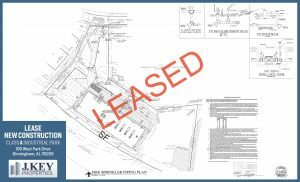 LEASE – NEW CONSTRUCTION: 30,000 sf warehouse under construction that can accommodate 15,000 sf to 30,000 sf users. Office will be built-to-suit. The building will have multiple 14’ x 14’ drive-in doors, 21’ clear height, ESFR fire sprinkler, and fenced, outside storage.